Due to the bayonet receiver the accidentally loosening of clamping systems running counter-clockwise or while braking is practically barred. Spindle thread adapter are principally equiped with a groove to fix a form-fit run-off-protection between spindle and chuck. An eye-catching emergency stop-button is located at the movable control panel. 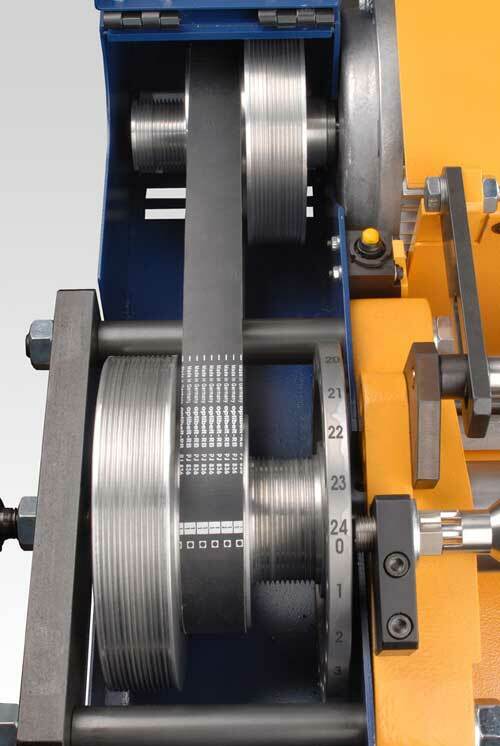 With an end switch the spindle automatically stops when the belt covering is opened. Thus an accidential starting of the machine while indexing device are locked can be prevented.